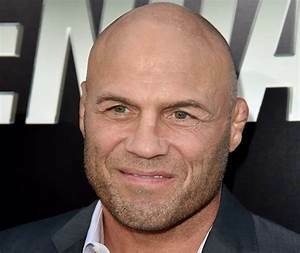 Randy Couture added to his legend by retaining the UFC heavyweight title against Gabriel Gonzaga at UFC 74. Gonzaga had earned a title shot with a stunning upset over Mirko Cro Cop at UFC 70. However, the 44-year-old Couture turned back the challenge by dominating the first two rounds and winning by TKO in Round 3. Georges St. Pierre bounced back from the loss of his welterweight title by beating Josh Koscheck by unanimous decision. “El Matador” Roger Huerta improved to 5-0 in the Octagon, as he beat Alberto Crane by TKO in Round 3. TUF 2 winner Joe Stephenson scored a unanimous decision win over Kurt Pellegrino, but TUF 3 champ Kendall Grove was knocked out by Patrick Cote at the 4:45 mark. Renato “Babalu” Sobral won his fight but lost his job. He defeated David Heath by submission to an anaconda choke. However, he wouldn’t release the hold on the referee’s instruction, so he was fired. Also on the pre-show, former heavyweight champ Frank Mir beat Antoni Hardonk by submission to a kimura in 77 seconds; Clay “The Carpenter” Guida defeated PRIDE veteran Marcus Aurelio by split decision; and Thales Leites beat Ryan Jensen with an armbar at the 3:47 mark.